Here I discussed and attached a video about aquaguard reviva nxt ro+uv 8.5 l. where given maximum information of these products. Eureka Forbes is best to water purifier company, this aquaguard Reviva nxt ro, UV, an mtds model technological video has been submitted for better product experience as it is Eureka Forbes aquaguard Reviva nxt "शुद्धा से ज़्यादा,सेहत का वादा" .also shown the installed iron filter for a prefiltration process. 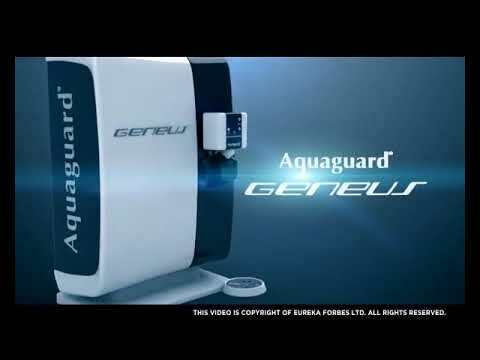 Aquaguard enhances RO water purifier of Eureka Forbes is good. But Aquaguard Reviva nxt to, UV,mtds is better than other products due to the multi-stage purification process. If you check the online price, it's the approximate price will be around 16000 to 18000 rupees in India in life home delivery. Membrane life enhancer prevents scaling of dissolved salts, thus enhancing membrane life and improve water flow. Taste enhancer cartridge-remove residual organic impurities and enhances the organic taste of the water. * Aquaguard Reviva Nxt Ro+Uv 8.5 L Ro Water Purifier And REVIVA NXT RO+UV+TDS are capable for quick filtration. 6.UV chamber - Germicidal UV lamp disinfects the water by eliminating waterborne all disease-causing bacteria, virus or protozoa. 7. Mineral guard -prevents the deposition or scaling of calcium and magnesium in the UV chamber. 8.MTDS Regulator-adjust the TDS of purified water to provide healthy water always. Trust of 100 lakh mother In this product tds controlled with advanced technology name mtds. 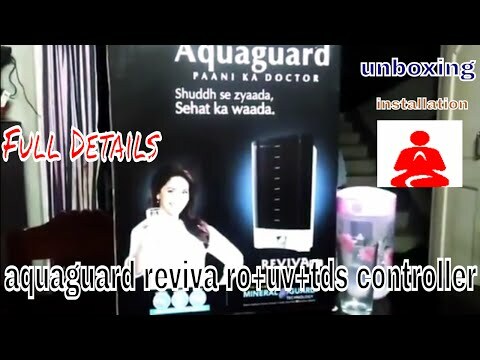 Aquaguard Reviva next prices has been shown in this video is sixteen thousand four hundred ninety rupees. My another post in reviva nxt TDS setup process-Aquaguard Reviva nxt of eureka ro+uv+tds and this video is required after buying that How to change TDS by TDS meter video. This is my first published blog so please comments, message and registered email, visit my channel various hot sweet technical animal video there. thanks to reading my blog - Clickndia.com.